DCS supervises more than 200,000 felony offenders. Some have been granted parole or a reprieve by the State Board of Pardons and Paroles while others have received probated or split sentences via Georgia courts. The creation of DCS has enabled the consolidation of the once separate and independent supervision components of parole and probation. This consolidation allows case assignments to be made based upon the geographic location of an offender’s residence as opposed to the offender’s status within the criminal justice system. DCS field offices are aligned with the established ten (10) judicial districts which are comprised of the current forty-nine (49) judicial circuits. 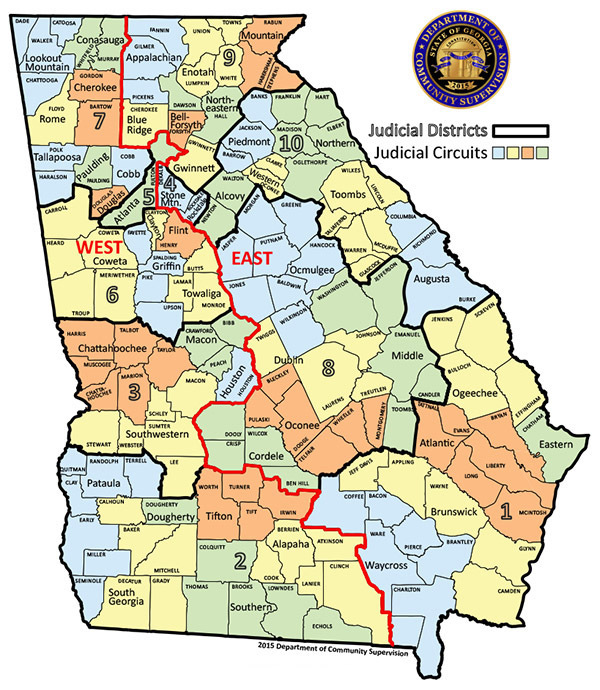 The map below outlines the state’s judicial circuits and districts. More information regarding pardons or restoration of civil and political rights is available from the State Board of Pardons and Paroles.